…Italy is facing an acute shortage of pizza makers. Despite a long recession and high unemployment, Italians are shunning the job because of the long hours and modest pay. Italians may be reluctant to get their hands dirty by stoking ovens and kneading dough, but foreign immigrants have no such qualms and are now filling the gap, producing an increasing share of the three billion pizzas that Italians eat each year. Egyptians have shown themselves to be particularly adept at mastering the art of the perfect pizza and now run many of the pizza restaurants and hole-in-the-wall takeaways in big cities like Rome, Milan and Turin. They now play a key role in many of Italy’s 25,000 pizzerias, with around 100 Egyptians training as pizzaioli every year. “The Egyptians are supplanting Italians, it’s true,” he said. Japan’s rapidly aging population has suffered its biggest decrease since records began in the 1950s, according to new figures. The population across Japan…dropped by around 284,000 to an estimated 127.5 million by October last year, the figures compiled by the government’s Internal Affairs and Communications Ministry found. The number of elderly people aged 65 or over surpassed 30 million for the first time, accounting for as much as 24 per cent of the population – in contrast to children aged 14 and under which decreased to a record low of 13 per cent. As a result, the elderly officially outnumbered children, with a higher number of over-65s compared to children aged 14 and under in each of Japan’s 47 prefectures for the first time. The new figures confirm Japan’s growing reputation as one of the fastest aging nations in the developed world. 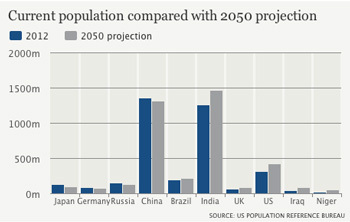 A dwindling birthrate, with deaths continuing to outnumber baby arrivals, combined with the postwar baby boom generation reaching retirement age as well as strict immigration laws are factors fuelling the declining population. A decline in foreign nationals living in Japan – who were included in the survey – in the aftermath of the nuclear disaster following the 2011 earthquake was also thought to have impacted figures, according to Kyodo news agency. As many as 40 out of the nation’s 47 prefectures suffered a population decrease, with the worst hit being nuclear-hit Fukushima where resident volumes declined by 1.41 per cent. Akita Prefecture in northern Japan was found to have the highest percentage of people aged over 65, which accounted for more than 30 per cent of its population, the new figures found. Japan’s government faces taking strong measures to tackle the consequences of its aging society, with a sharp rise in welfare costs and medical care demands forecast in coming years combined with a drop in workforce and national tax revenues. Private companies are also tapping into the potentially lucrative rise of the “grey” market, with a surge in companies and services targeting the elderly in recent years, from residences and magazines to holidays and apparel. A Dutchman arrested in Spain on suspicion of perpetrating the biggest cyber attack in internet history operated from a “bunker” near Barcelona and toured Spain in a camper van equipped with hi-tech scanners. Sven Olaf Kamphuis, 35, was arrested on Thursday in Granollers, a city 22 miles north of the Catalan capital for his alleged role in hacking the European anti-spam group Spamhaus. The suspect traveled around Spain in an orange van set up as “mobile computing office equipped with various antennas to scan frequencies,” said a statement released by Spain’s interior ministry. Spanish authorities were first told in March that a large number of cyber attacks affecting internet services in the US, Britain and the Netherlands were being launched from Spain. Spanish police tracked the suspect to a property in Granollers where he had set up an operations center described by officers as “an information bunker” from where he “even did interviews with different international media” about his cause. He is believed to be behind the March 15 cyber attack on Spamhaus, a non-profit Swiss-based company that fights internet spam by blocking emails offering products such as discounted Viagra or weight-loss pills. Mr. Kamphuis, who publicly branded the service as censorship after some of his own email addresses were blacklisted, was being investigated by Dutch authorities as the mastermind behind so-called “distributed denial-of-service”(DDoS) attacks. DDoS attacks overwhelm a server with traffic, jamming it with incoming messages. The attack against Spamhaus was the most powerful to date and threatened to collapse the global internet. It was described by the Netherlands National Prosecution Office as an “unprecedentedly serious attack” deemed three times more powerful that other recent cyber-attacks against US banking sites. Mr. Kamphuis was detained on a European Arrest Warrant following cooperation between Dutch, German, British, US and Spanish police and on Monday was remanded to prison by a judge in Barcelona pending extradition to the Netherlands. Police seized two laptops and a variety of different equipment thought to have been used for criminal activity. b) How many pizzas are sold in Italy each year? How many pizzerias are there in Italy? c) For what reasons does Egyptian pizzeria owner Amadeo Al-Wikel believe Egyptians have become successful pizza makers/owners in Italy? d) Do you think Mr. Al-Wikel’s observation holds true for Egyptians only, or for any recent immigrants moving from a third world economy to a Western free market economy? Explain your answer. b) What factors have contributed to the decreased population? c) What are some of the negative effects of this decrease in population? d) Who is benefitting from the aging population? e) Do you think the Japanese government should seriously address this problem? If so, how? Explain your answers. b) Spamhaus, a non-profit Swiss-based company that fights internet spam by blocking emails offering products such as discounted Viagra or weight-loss pills. Why did Mr. Kamphuis perpetrate the attack? c) The attack against Spamhaus was the most powerful to date and threatened to collapse the global internet. It was described by the Netherlands National Prosecution Office as an “unprecedentedly serious attack” deemed three times more powerful that other recent cyber-attacks against US banking sites. How do you think this type of crime should be punished? 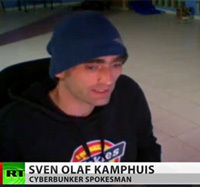 d) Do you think after he is released, Mr. Kamphuis will no longer be a threat to cyber security? Explain your answer.